There are recycling centers in Orlando where citizens can deposit their unwanted waste. In order to encourage citizens to recycle, many communities have curbside recycling services. People have to separate their waste and the local authorities will, on specified days, pick goods from the curbside. There are even some recycling centers in Orlando that pay you for dropping off recyclable goods. 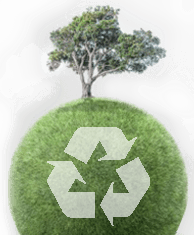 Have you ever considered the many advantages of reduce, reuse, and recycle? It allows less products to be produced, including plastic, paper, and glass. It adds jobs to our economy. It slows down the consumption of our natural resources. You can receive money for doing it. It saves precious landfill space. The reusing of paper products saves trees, which produce oxygen. It affects global warming in a good way by slowing it down. These are just a few of the crucial advantages to recycling. Consider the educational effects on our children. When you do it, you can explain the reasons for it and teach them of its importance. A good way to start them on this educational process is to allow them to earn money from collecting recyclables in their neighborhood. This is a far better learning process than if you just handed them an allowance for which they didn't actually work to receive. And, a weekly trip to a recycling center will give everyone a good feeling that they're helping the environment. You may not be aware of it, but the products found in a recycling center greatly reduce pollution too. When plastics, cans, and paper are not reused, there are harmful chemicals within them that are released into the air, water, or ground. When these items are recycled, these chemicals don't have a chance to harm anyone or anything. Aluminum is found in the earth. It has to be dug out of the earth in order to produce anything made of it. Recycling aluminum cans is a great way to preserve this precious metal's resources from dwindling. People need to be told which kind of material can be recycled and where it can be dropped off. Batteries, for example, leak toxic material into the soil. It's cheaper in the long run to buy rechargeable ones. Watch and calculator batteries can be taken to a jeweler for recycling. Old car batteries should be taken to your nearest Household Waste Recycling Center where they'll be recycled. Unused or out of date medicines should not be junked at home. Take them to your local chemist where they will dispose of them safely for you. Old books, tapes, records, CDs, videos, games should be taken to the local second-hand music or charity shop where they'll be donated or re-sold for charity. Plastic is expensive to recycle and takes 500 years to biodegrade. There are however, a number of neighborhood recycling centers to which you can take your plastic bottles. Some stores collect plastic bags for recycling. Most Neighborhood Recycling Centers in Orlando have paper banks and glass banks. We have a recycling center in Orlando that handles all both residential and commercial waste. Call us or send an email for a free consultation today.